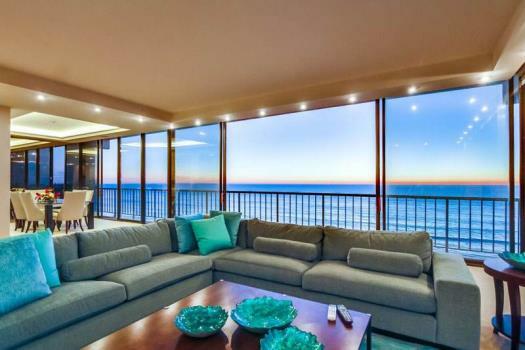 This beautiful ground level ocean front rental now has brand new granite countertops, travertine tile, new soft close drawers and cabinets, and brand new kitchen appliances. The master bedroom has a queen bed and wall to wall closets. The master bath has been completely renovated with double sinks, granite countertops, and travertine tile shower. The second bedroom has a twin/double bunk bed and another fully renovated en-suite bathroom with a shower/tub combo. 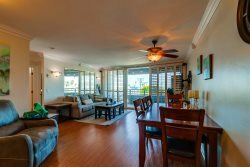 This property is located in South Mission Beach just steps from he white sandy beach and volleyball courts. This rental also features brand new living room furnishings. Penny Realty has been wonderful both times i have booked through them!